With all the hype around Mahindra’s upcoming compact SUV, the KUV1OO (S101), it is highly expected that Mahindra will also showcase the SsanYong Tivoli at the upcoming Auto Expo 2016. This compact SUV has been developed after four years of extensive research and was launched in January 2015 for the Korean market. Internationally, Tivoli gets a newly developed petrol engine called the e-XGi 160 that delivers maximum power of 126 PS along with 157Nm of torque and is available in both automatic and manual transmission. The India bound model can also get TUV3OO’s 1.5-litre diesel unit with slightly better power and torque figures. Tivoli also comes equipped with smart steer function that allows you to choose from three steering modes – normal, comfort and sport and boasts of an incredible boot space of 423 liters. On the safety front, this urban SUV comes equipped with big disc brakes on all 4-wheels which ensure quick and efficient braking along with ESP (Electronic Stability Program) and TPMS (Tyre Pressure Monitoring System). 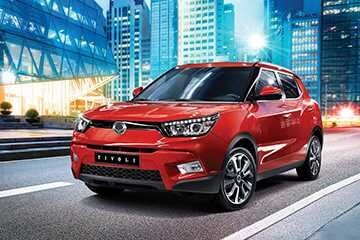 The Korean spec Tivoli also has 7 airbags, ventilated driver seats, heated steering wheel, heated second-row seats, obstacle detection system with six sensors, automatic washer and automatic hazard lights. However, all of these features might not make it to India and we expect front airbags and ABS to be standard across all variants. With the recent ban on 2000cc plus diesel vehicles, the upcoming SsanYong Tivoli, KUV1OO along with the TUV3OO and will play a major role in keeping Mahindra’s game strong in the Delhi-NCR region. Also Read: Mahindra KUV100: All You Need To Know! 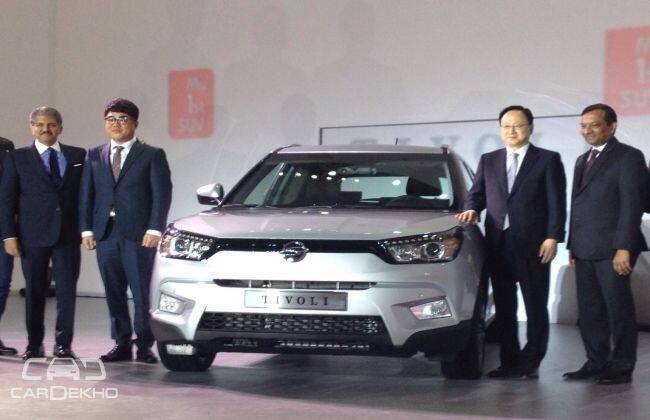 SsangYong Tivoli Spotted in India for the First Time!